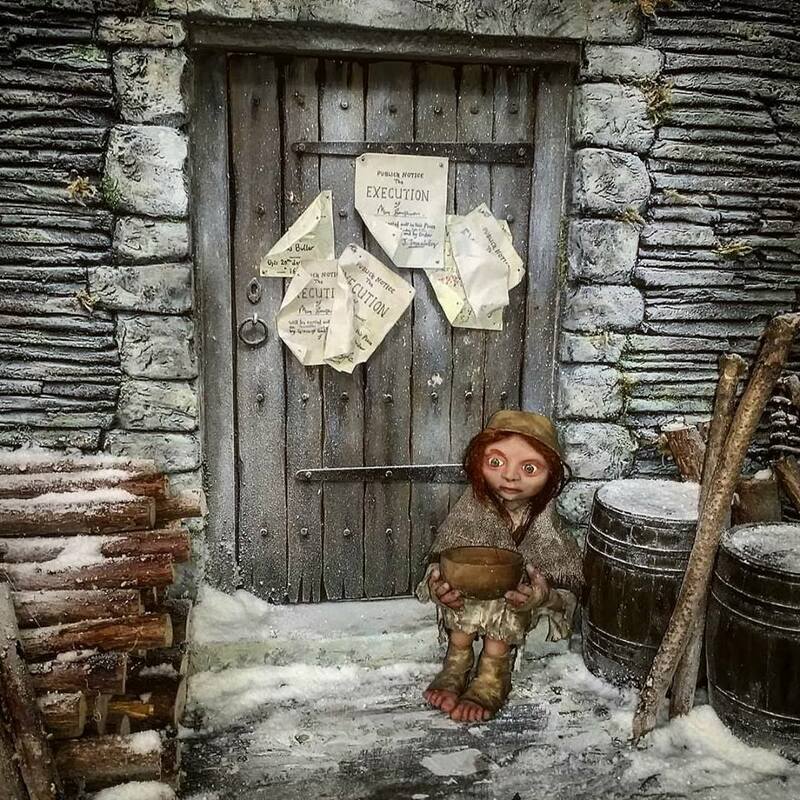 The Legend of Jan Tregeagle is a new stop motion animated film from Odd Planet Studios. It’s ‘an exciting retelling of a classic Cornish legend, and the first in a series of tales from deepest, darkest Cornwall’. The filmmakers have been awarded a grant from Cornwall Heritage Trust, so you know it’s going to be something special. When we spoke to producer Katherine Drake she gave us our own very special run-down of the story. And as you would expect from an actress, it was mesmerising. Here, we’ve done out best to capture the magic. 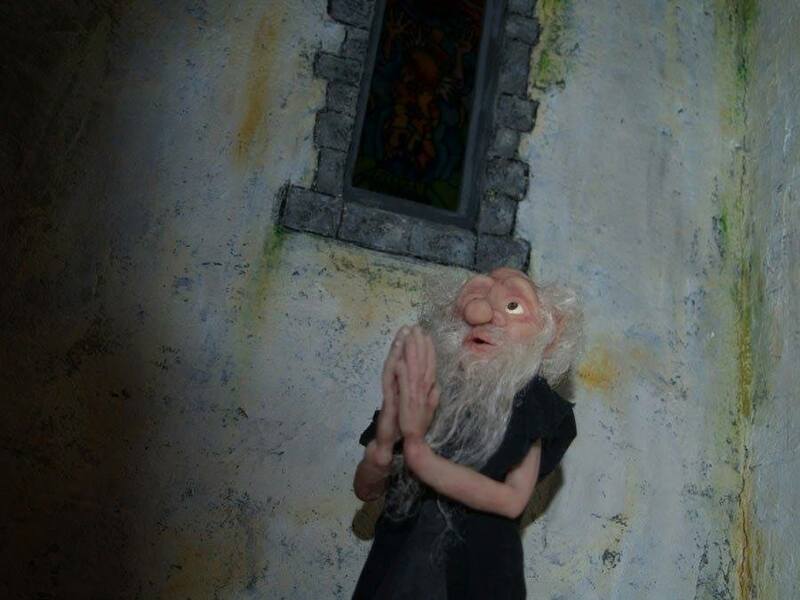 “It’s a Cornish folk tale about a very mean and greedy and wicked magistrate in Bodmin in the 17th century. “He’s a Puritan but he only cares about money and gold and he condemns anyone who can’t bribe him for their crimes. He even steals a poor little orphan girl’s inheritance. “Being Jan Tregeagle he bribes the clergy and makes them swear to keep him out of hell. “After he dies the whole town is very happy and they have a huge party. 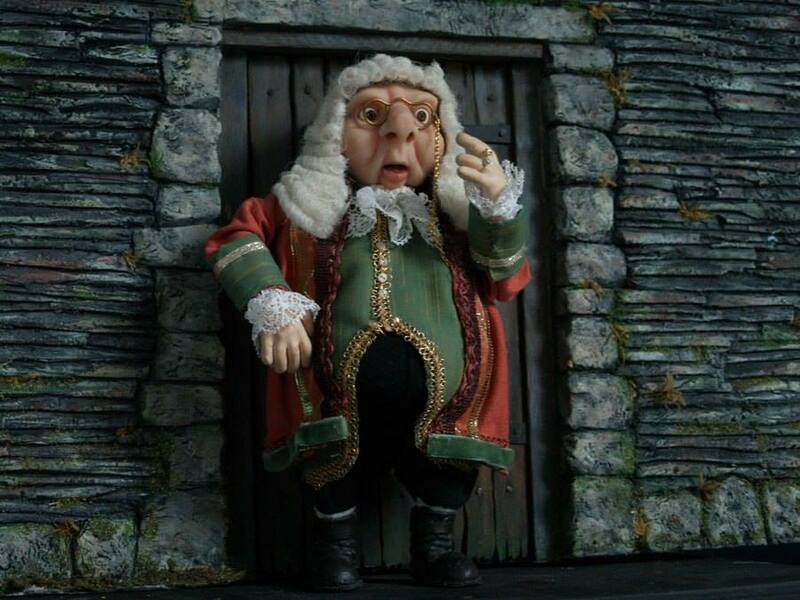 They have a new magistrate who is nice and jolly and fashionable in the new Restoration style. “But when a dispute cannot be resolved the defendant in the case jokingly says only Tregeagle could sort it out. “At that Jan appears, all grey and magotty. He solves the dispute, but then there is a dilemma – they can’t put him back in his grave, but the clergy promised not to let him go to hell. Finally our superhero saint Petroc intervenes…. “It’s a tale of come-uppance and redemption, and asks should we forgive others. “There are some quite dark things going on in there, but it’s a family animation, and it’s funny. 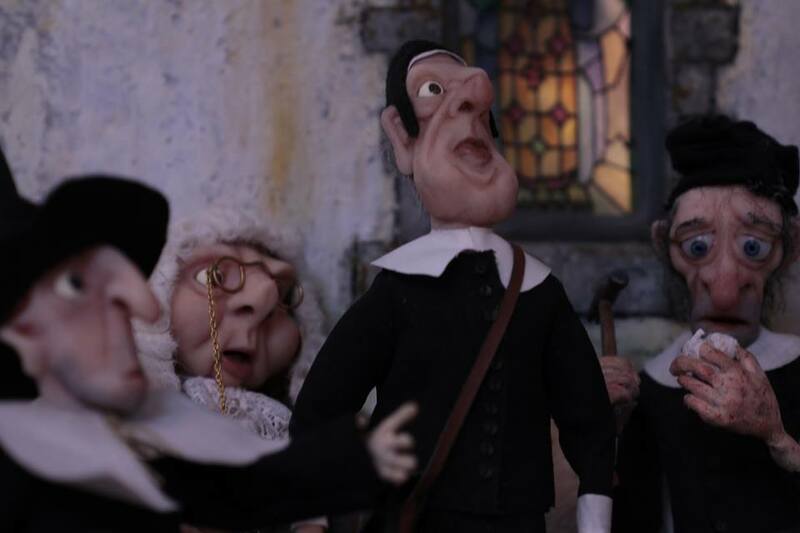 “It’s got some great comedy and some beautiful handbuilt puppets; the puppetry is absolutely stunning and each character is so distinct and unique. “And we want to make a contribution to Cornish culture. So we’re doing a Cornish language version with English subtitles and an English language film with Cornish subtitles. Read our interview with Katherine Drake.